Any idea what I am doing wrong? Thankfull for advice! i downloaded files, but cant move it from navigator panel to the chart… does anyone faced with that problem? What’s the best time frame for this indicator? You need to read the main cowabunga tread. 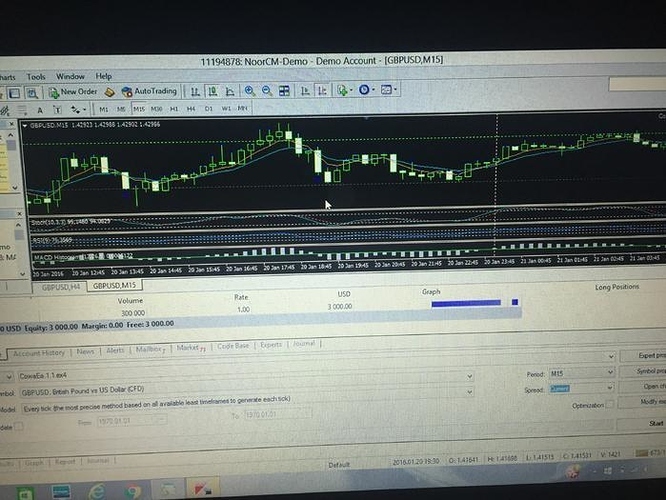 This system used H4 for trend direction and M15 for the entry points. Is this only good for a single currency pair ? If so which one? or is this good for all? Do you ever read what is in the blog ? Sometimes, an EA is working for some currency pairs not all of them. because each currency have different with other. Any updates on this system? Is it still working? Anyone using live? Anyone else having problems or know what stdummy might be doing wrong? Hi I am using a macbook to trad. How can i add the cowabunga.ex4 and cowabunga.mq4. Tried to paste but it wont. The v2 looks good if combined with pull in bar strategy for entry and using S&R for exit with multiple contracts scaling. Anyone knows if this tool does “repainting” like most other mt4 indicators? i.e giving false signals which appears and disappears? I’m new to BabyPips and I got confused with so many posts regarding the Cowabunga Indicator and the various updates. Can you please, share the most updated (at today Sept 13, 2016) Cowabunga Indicator? And if I need other specific indicators to put in place with it (i.e MACD, RSI etc.) can you share those too? The one I got (Cowabunga- any pair v2) does not raise any alerts and either send emails when the signal is captured. By the way the sending email is tested and working. Thanks a lot in advance for all the work you did on this indicator. ps) question: when you add the indicator to the chart, do you chose any specific timeframe in order to make it working? me and newbie too and am interested in this Cowa system. Reading thru this 64 pages of thread noticed that the system link given was years back . Not sure about it after so many years. Is it still working or functioning as good as it is ? Is there a latest version someone can shares with us the newbie here? Shall be much obliged to receive the latest version and the method on how to incorporate it into our MT4. How do I use this indicator to generate buy and sell signals? Also I want to backtest this indicator. I think this is proof that it still is working and alive. I think it’s important to repost a link to the latest version every so often so it is easier for the new joiners to find it since the 1st post is not up to date. Since I’m a newbie, I’m not able to post link, so I hope someone can do it (it’s on page 9, post 30491). Also I wanted to share with you the Pine Script version of Cowabunga V2 I made for myself.